>Graphic Warning Labels on Cigarettes Are Scary, but Do They Work? Graphic Warning Labels on Cigarettes Are Scary, but Do They Work? Looking at cigarette packaging in some countries, you might think Big Tobacco and AMC have entered into a bizarre cross-promotion for The Walking Dead. You'll see blood-drenched corpses, facial scars and head wounds, people dying in hospital beds, screaming children, crying women—the list goes on. 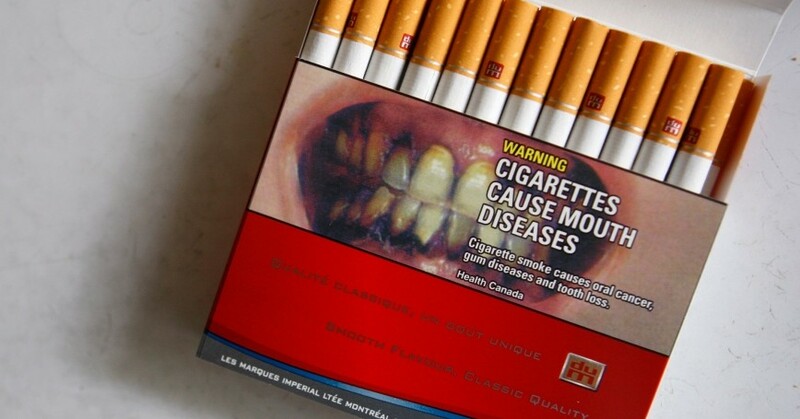 These “graphic warning labels” pair gruesome images with warnings about the dangers of smoking, covering anywhere from 30 to 80 percent of cigarette pack “faces” (the front and back). The goals of such labels are informing consumers about the risks of smoking, encouraging quitting among smokers, and preventing others from ever starting. Research shows people exposed to these labels are understandably repulsed and disgusted. 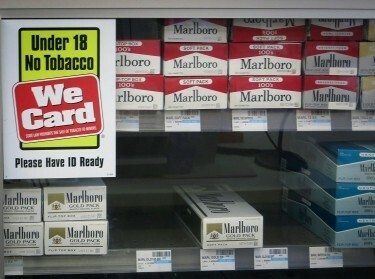 When asked, they express the belief that labels should keep people from smoking. And after viewing them, they have more negative thoughts and feelings about smoking. But do graphic warning labels actually prevent people from starting to smoke? 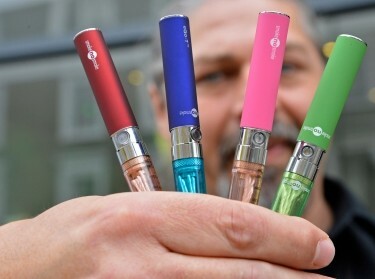 Do they cause current smokers to quit? The answers are far from clear, because there's little evidence for the effect of graphic warning labels on smoking initiation or cessation. There are estimates of the potential impact but almost no direct evidence for an actual effect on smoking. In fact, there's reason to believe graphic warning labels might have the opposite effect, making smokers feel defensive or causing nonsmokers to become inattentive (PDF) to anti-smoking messages. 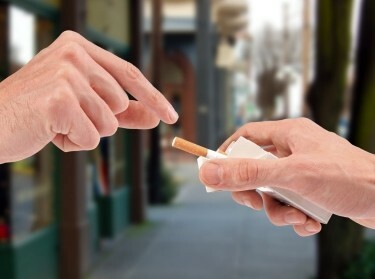 Some reports suggest smokers might even cover graphic warning labels with tape or use decorative cases, so they don't have to view repellent images every time they reach for a cigarette. So although the FDA would like the United States to join the 46 other countries that use graphic warning labels, it hasn't happened yet. Limited evidence is causing problems for tobacco-control efforts in other countries, too. For example, tobacco giant Philip Morris is suing Uruguay, claiming the nation's graphic warning labels, which cover 80 percent of cigarette pack faces, violate intellectual property rights and go beyond any reasonable warning about the dangers of smoking. It's hard to say how and why policy got so far ahead of science in the case of graphic warning labels. Perhaps their intuitive appeal as a smoking deterrent played a role. After all, product packaging has a huge influence on what we purchase—just ask any parent who's spent $85 on an otherwise unremarkable sweatshirt simply because it featured their teenager's logo du jour. On the other hand, multiple factors complicate how consumers react to seemingly straightforward policies designed to curb smoking. For graphic warning labels, these probably include some combination of how consumers “process” health warning information, smokers' level of addiction, and how the images and warnings are prepared and presented. So for now, the FDA has decided not to take the graphic warning label case to higher courts. It'll likely revisit the matter when and if the evidence base evolves to show an effect on smoking behavior. Deborah M. Scharf is a behavioral and social scientist at the nonprofit, nonpartisan RAND Corporation. William G. Shadel is a senior behavioral scientist and associate director of the Population Health Program at RAND. This commentary originally appeared on The Health Care Blog on September 27, 2014. Commentary gives RAND researchers a platform to convey insights based on their professional expertise and often on their peer-reviewed research and analysis. William G. Shadel @william_shadel, Joan S. Tucker, et al. 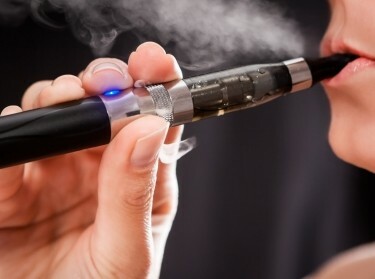 Big Tobacco vs. Tobacco Regulation and Control: An Even Match?